Frame High-strength tubular steel frame with closed double cradle. The Atlantic Sprint opens up new horizons in personal mobility, thanks to advanced, clean running high performance engines (both Euro 3 homologated), standard-setting comfort and unmistakeable style. Its agility and sparkling performance make the Atlantic Sprint unbeatable around town. Roominess, comfort, excellent wind protection, and large capacity (400 and 500 cc), high-performance engines mean that the Atlantic Sprint is great on country roads, and a classy performer on long distance touring holidays. The Atlantic Sprint’s styling is a passport to success; clear-cut no-frills lines, elegant colours, and a dynamic but elegant look that hides advanced scooter technology. The Atlantic Sprint is Aprilia’s answer to scooter riders who have been waiting for a fast and safe machine that promises high performance urban commuting without compromising on comfort. Rider and passenger benefit from a high level of wind protection, a large load-carrying capacity, excellent ergonomics, and active and passive safety. In fact, everything about the Atlantic Sprint has been designed and made for unbeatable comfort without compromising the natural, instinctive ride and unmistakable style that defines all Aprilia scooters. In addition to guaranteeing exceptional comfort, the generous seat gives you great control and a truly instinctive ride. The Atlantic Sprint’s footboard has been carefully tapered where you put your feet on the floor, to ensure quick, easy and firm contact with the ground. The ample leg shield and high windshield offer excellent protection against the wind and rain. The luggage rack incorporates passenger grab handles and accepts the optional top box without additional mounting plates or brackets. Load carrying capacity plays an important role in choosing a scooter. The Atlantic Sprint boasts a generous lined and illuminated under-seat storage compartment which even incorporates a convenient power socket for charging your mobile phone. 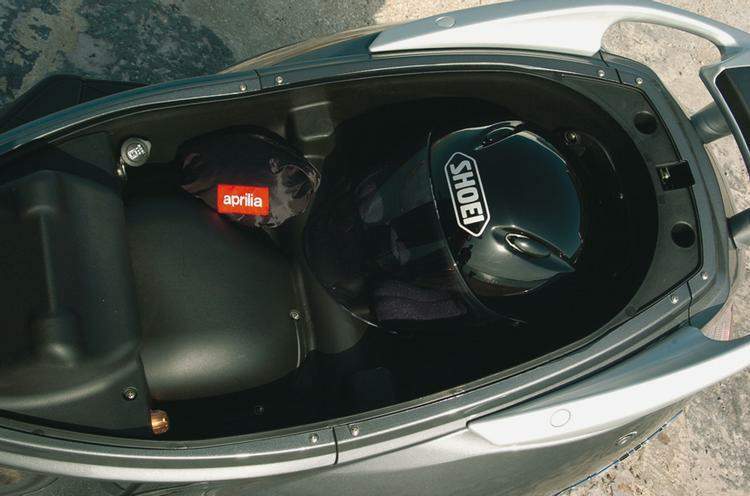 A second, lockable storage compartment is housed in the rear of the leg shield. If even this volume of storage is not enough, you can easily add an optional 45 litre top box, directly on the standard luggage rack. The unrivalled quality to price ratio achieved by the Atlantic Sprint emerges clearly not only from its exceptional performance and finish but from its impressive level of standard equipment. When you buy an Atlantic Sprint you get a very complete scooter at a very incomplete price. Everything you need comes as standard on the Atlantic Sprint, including an electronic remote control anti-theft system. This highly advanced system is the first of its kind ever fitted on a scooter. 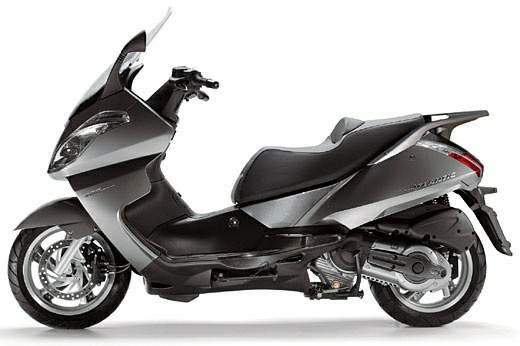 The system acts as an engine immobiliser and sounds a highly audible alarm and flashes the hazard warning lights if any attempt is made to move the scooter.